The Australian Protectionist Party is the nationalist movement created to defend Australia’s vital national interests: our heritage, identity, independence, and living standards. We are an organisation created to protect the interests of Australia and Australians. The Protectionists are an integral part of the growing resistance amongst Australians to the globalist, anti-national policies being pushed by the Australia-haters of the Liberal-Labor parties and their fellow-travellers in their Establishment Ivory Towers. We call upon all true blue Australians to join the APP to help win back our nation. Party membership fees are very helpful as they generate regular income in order to cover running costs of the party, which include fielding candidates, printing leaflets, advertising, and room hire for meetings and functions. All political parties have running costs, including the Australian Protectionist Party. 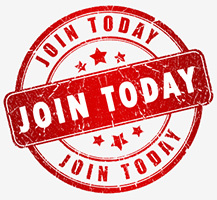 To continue our growth the party needs donations and paid memberships. With your financial help APP will build an effective political force for now and the future. Your financial contributions and memberships will also help the party spread the message of hope, truth and resistance. The APP offers free membership to serving members of our armed services and police forces, as recognition of their service to the Australian people; this same offer applies to veterans who have served in active war zones. Join the Aussie resistance now and ensure that Australia has an effective patriotic political party fighting to protect, preserve and defend our freedoms, heritage, and identity.